Rotary District 9930 2019 Conference registrations. 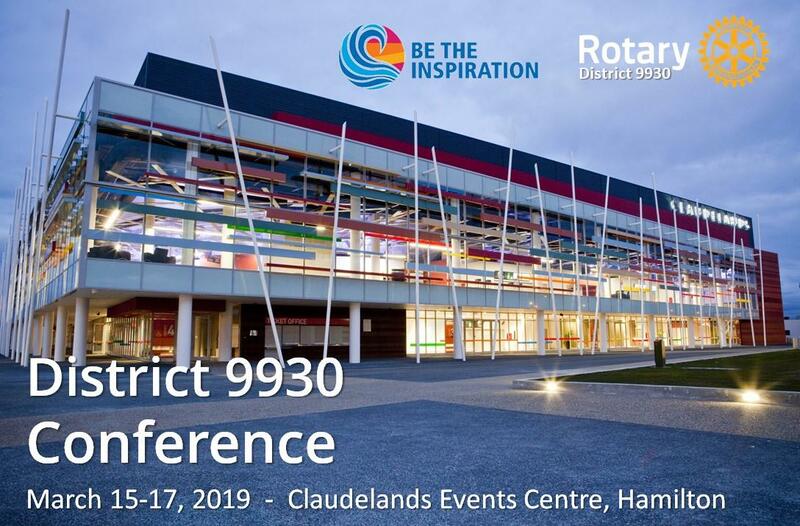 Registration is now open for the 2019 District 9930 Conference, this annual conference is for everyone in the Rotary family! Join us to learn, share, be inspired, and have fun. EARLYBIRD1. Strengthen your club and your passion for Rotary. 3. Learn about the excellent work being done by other clubs in our District. 6. Enjoy a weekend away in Hamilton, with fantastic food and entertainment.